Chemically, this family of thermoplastics are called terpolymers, because they are made of three different monomers: acrylonitrile, butadiene and styrene, to create a single material that draws on the best properties of all three. Acrylonitrile-Butadiene-Styrene ABS was introduced to the market in 1948, primarily as a result of activities that had taken place during the war years in the development of synthetic rubbers. Acrylonitrile-Butadiene-Styrene ABS possesses outstanding impact strength and high mechanical strength, which makes it suitable for use in tough consumer and industrial products, including: appliances, automotive parts, pipe, business machines and telephone components. In the 1960s, Acrylonitrile-Butadiene-Styrene ABS found wide outlet as a substrate for metallizing (i.e., applying a chrome-like metallic finish to the plastic) and appeared in such products as shower heads, door handles, faucet handles and automotive front grilles. 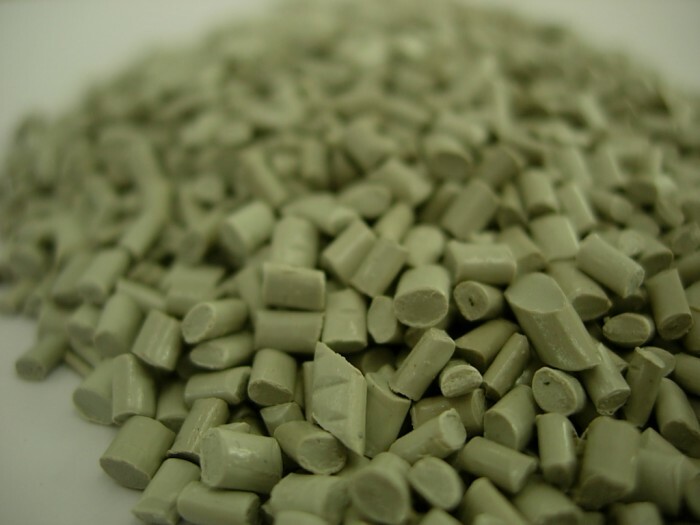 A class of thermoplastic terpolymers including a range of resins, all prepared with usually more than 50% styrene [C 6 H 5 CHCH 2 ] and varying amounts of acrylonitrile [CH 2 CHCN] and butadiene [CH 2 CHCHCH 2 ]. The three components are combined by a variety of methods involving polymerization, graft copolymerization, physical mixtures and combinations thereof. Acentech corporation Copyright Copyright ⓒ Acentech corporation. All Rights Reserved.